Explanation: Eleven years ago results were first presented indicating that most of the energy in our universe is not in stars or galaxies but is tied to space itself. 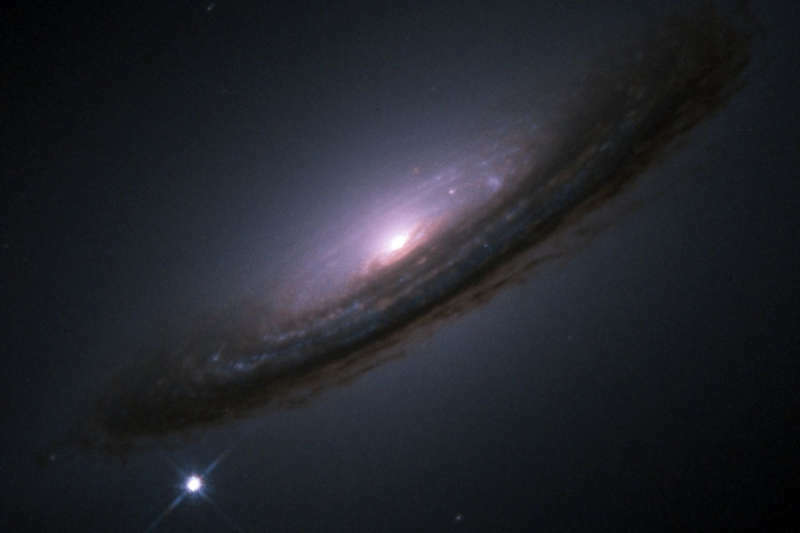 In the language of cosmologists, a large cosmological constant is directly implied by new distant supernovae observations. Suggestions of a cosmological constant (lambda) were not new -- they have existed since the advent of modern relativistic cosmology. Such claims were not usually popular with astronomers, though, because lambda is so unlike known universe components, because lambda's value appeared limited by other observations, and because less- strange cosmologies without lambda had previously done well in explaining the data. What is noteworthy here is the seemingly direct and reliable method of the observations and the good reputations of the scientists conducting the investigations. Over the past eleven years, independent teams of astronomers have continued to accumulate data that appears to confirm the existence of dark energy and the unsettling result of a presently accelerating universe. The above picture of a supernova that occurred in 1994 on the outskirts of a spiral galaxy was taken by one of these collaborations.